Your ideas become easy Take the tour p2. Calculate instant quotes no waiting. Customize any option and calculate instantly without waiting. 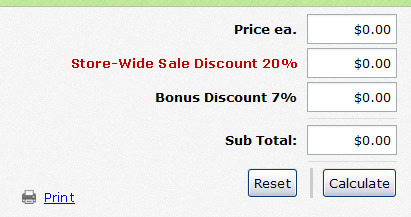 The free to use price calculator also offers you an easier way to immediately print your quotes. Create orders with confidence knowing that you can track the order from start to finish. 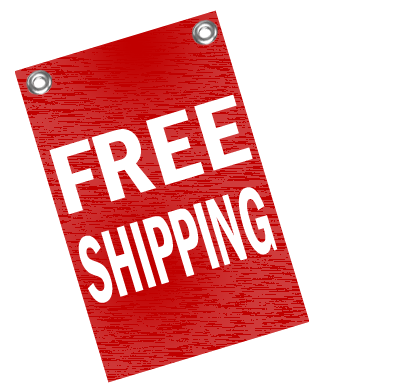 Free shipping offers your many advantages. 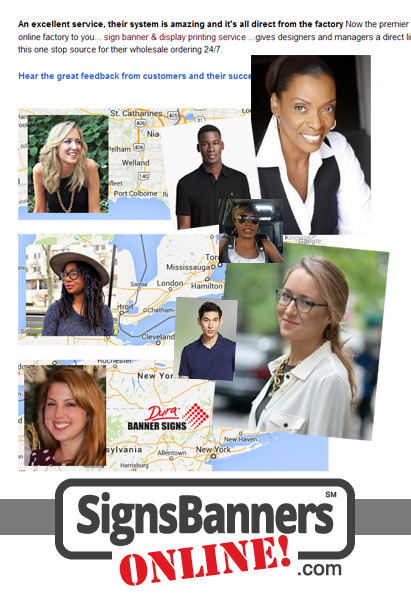 Preview and proof your designs before proceeding! This handy tool allows you to re-check your details. It's an online proof. Attach and send any logo files you have, pictures or give us instructions. 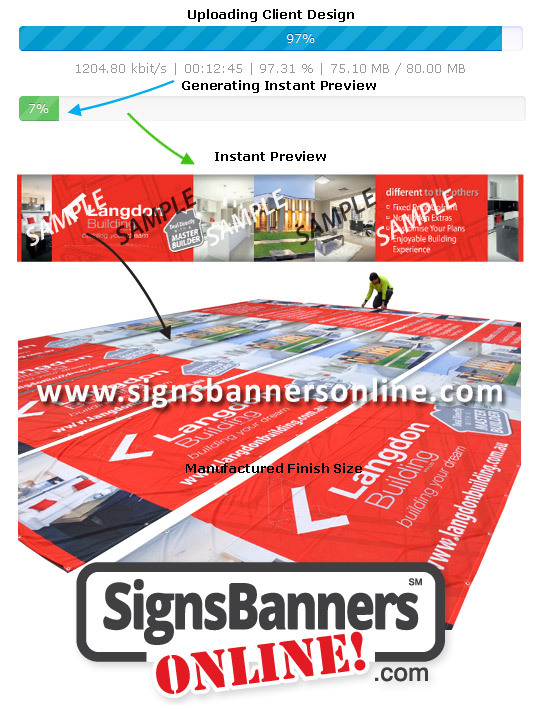 We can quickly put it all together, compose and upload your ideas ready for your approval. 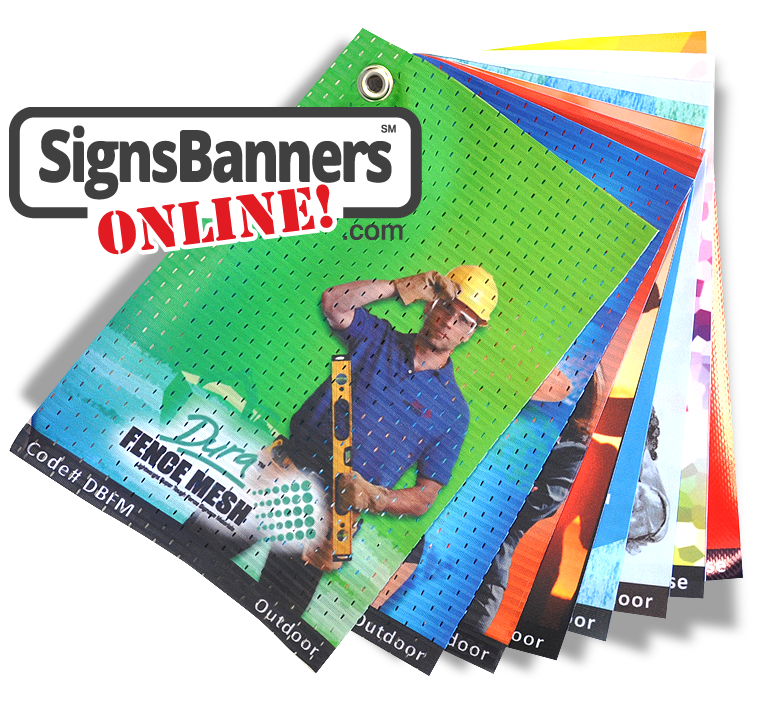 Free 2019 Sample Book with all the popular fabrics used for signage banners, displays and exhibitions. Easy to reference, easy to use. Includes example use. Supplying customers direct with wholesale prices, factory quality and superior speed, customers are relying upon for their marketing lines. Hear what they say and the service they use. April 2019 Thank you, thank you, thank you... it's perfect! The Easy Template Maker, Design guides, online proofing and Wizards are all free to use. 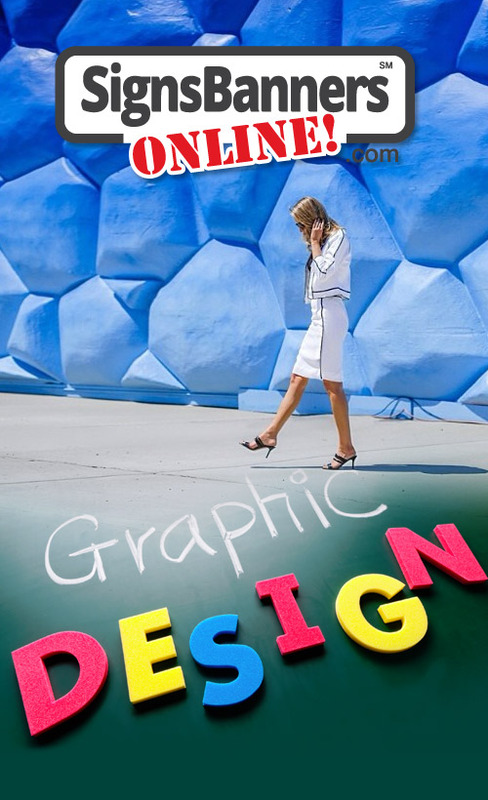 If you are a professional graphic designer or a marketer arranging your companies marketing, you can quickly set art files and give instructions to others. Custom templating just became easier! What took me 40 minutes to set a layout is now 3... that is easy! Thanks guys. Free services... Tell your sign maker! 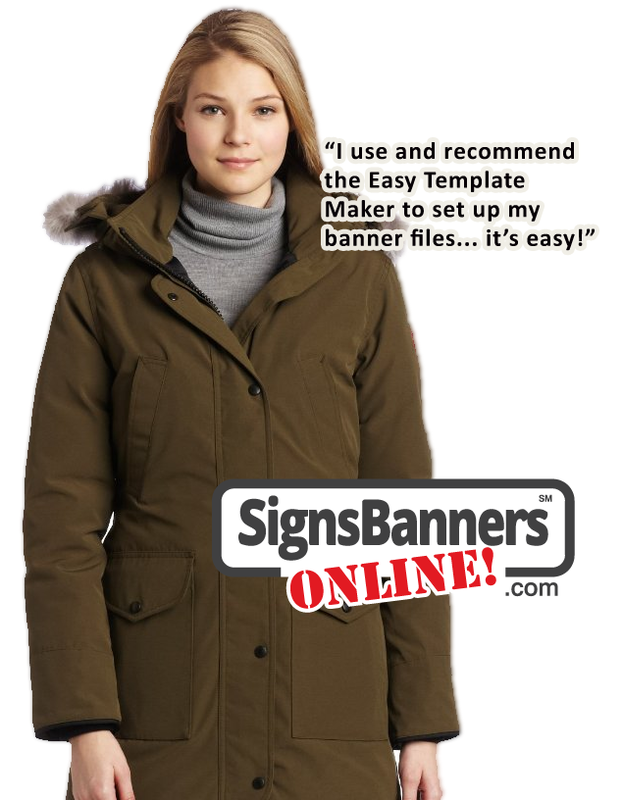 The Easy Template Maker is also used by design teams around the country for banner signs and posters, large format printing and other projects when fabrics are used. 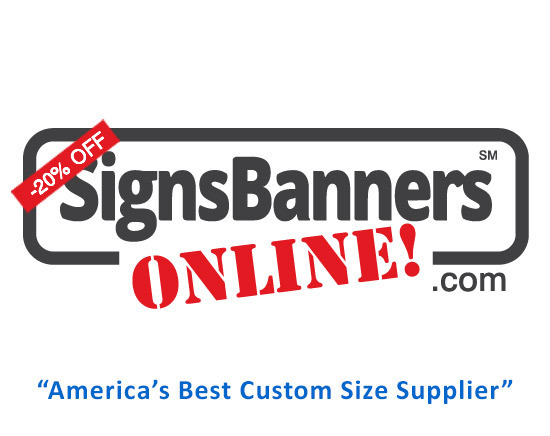 Remember, fabric printing on banner signs requires material over size that can be folded... "the Easy Template Maker gets it right everytime"
I wasn't sure how to make a custom size... I choose... then I click! Now its perfect everytime... Thanks all. Fast multi packet uploading reduces lag and at the same time delegates your file into a ticketed proof. It's now even easier to proof your line items before any payment is due. 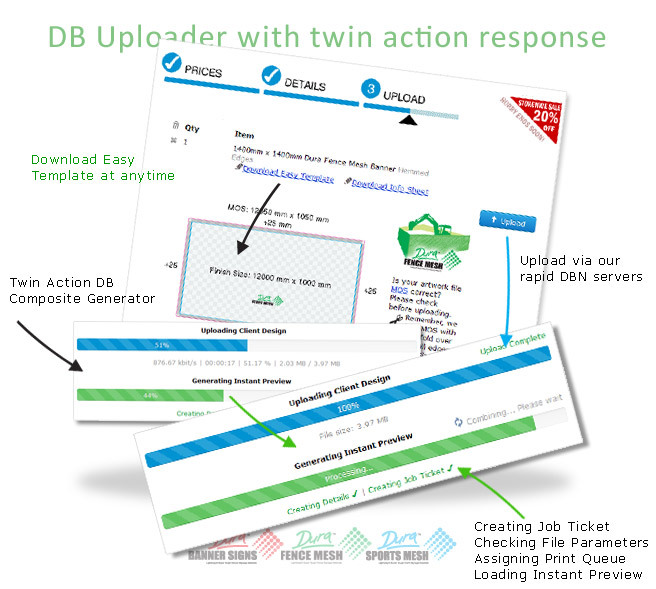 The Twin Uploader creates a preview for each line item so you can correct any items and approve to print. This new service offers you as a designer or manager the latest proof... all from the comfort of your desk.